Any way you come at the question, William is not the answer. What great writer, once having hit their stride, gives it all up to return to a hometown far from the mainstream of their success to busy themselves with land deals and penny ante lawsuits? How many great writers from any time period leave no evidence of their writing in holographs of their works or letters to friends and colleagues? What great writer’s signatures look like the scribbles of a five-year-old just learning how to sign his own name? In the profile of the literary genius as detailed by Psychologist Prof. Ellen Winner in her book Gifted Children, Myths and Realities, based on years of clinical studies and the biographies of many of the world’s great artists and writers, there is no sign of anything remotely resembling the real (as opposed to imagined) biography of William of Stratford? Why no presence as a writer in either Stratford or London? When William’s biography is reduced to the bare facts, all that’s left is what one would find in the biography of any of his Stratford neighbors, except perhaps the mysterious source of his family’s sudden affluence in the early ’90s. His presence in Stratford is far from exceptional in any way, and in London, the site of his supposed great success, it barely registers at all. As Ramon Jiménez shows, no Stratford neighbor, no fellow poet, playwright or London playgoer, ever mentioned William as a successful playwright and popular poet. What traces he left are of the most mundane and emphemeral sort, records of short stays at rented rooms, an anecdote of a fling at an inn en route to and from Stratford, taxes unpaid, a deposition fudged, worse, a reputation in his hometown as a hoarder in time of famine (Schoenbaum 179) and, most anomalous of all, an encloser of ancient common lands––all very strange when compared with the profile of the author that emerges from the plays and poems published under his name. It is astonishing how his biographers wink at this reality, or tart it up with adjectives like “prudent” and “businesslike,” or with caveats like Schoenbaum’s “we need not wonder . . . .” Why not? He doesn’t say. In Volume II of his extremely useful book, William Shakespeare: A Study of Facts and Problems (1930), E.K. Chambers details in chronological order what he terms “contemporary allusions” (186 et seq). Those who study Shakespeare are familiar with most of them because they are so few. That they are so scarce should seem odd, considering how popular he was––that is, how popular his plays were––and how important to the actors who made fortunes from them. 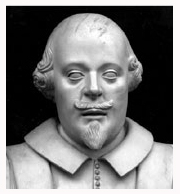 In his own way, Chambers has added an important testimony to the accumulating evidence that no one in London but the Lord Chamberlain’s Men, or anyone at all in Stratford, saw William as having any connection with the plays of Shakespeare. Leaving out the portraits of writers like Philip Sidney, Mary Sidney, Francis Bacon, Michael Harrington, and Walter Raleigh––as courtiers, they would have had their portraits painted for that reason alone––we have good images of most of the other writers of his time. We have high quality oil portraits of Ben Jonson and John Fletcher, good quality portraits of John Donne and Michael Drayton, and even one of that elusive genius, Christopher Marlowe, most miraculously salvaged. There are even decent portraits of most of the leading actors of the day. Why then no good image of the greatest of them all? Neither the cartoonish engraving that fronts the First Folio nor the bust that Mark Twain once compared to a bladder, comes anywhere close, either in substantive provenance or in sheer believability, to these genuine images. If we add to these Jonson’s character in Every man Out, the buffoon Sogliardo that is so easily identified with William in his interactions with the Lord Chamberlain’s Men, we have a pretty sorry figure for the man the orthodox would like us to regard as the creator of the world’s leading language. Too sorry. These and dozens of other facts show that the truth about Shakespeare is cloaked in mystery. Why has he been so hard to pin down? The only possible answer is that for some reason, he was hidden on purpose, either by himself or by others. That there is nothing, or rather nothing that makes sense, tells us that this mystery goes a great deal deeper than the orthodox have wished to dig. Whoever the true author was, he was, unlike the lowly Stratford entrepreneur, someone with the power to hide himself. And where did he hide? Behind William’s remarkably punnable name. And how did he hide? Through the chicanery of the Lord Chamberlain’s Men. And how did they find him? Most likely through the publisher of the ground-breaking narrative poem Venus and Adonis, William’s Stratford neighbor, Richard Field. You say that “no one in London but the Lord Chamberlain’s Men, or anyone at all in Stratford, saw William as having any connection with the plays of Shakespeare.” Why would that be if the name William Shakespeare appeared on the title page and he was most likely known to the theater crowd as some sort of play broker? In a related question, you have stated the need for secrecy because of the oppressive nature of the state. My first question is, if Oxford was a favorite of the Queen, why wouldn’t she have protected him? Secondly, if the authorities thought the plays were written by William Shaksper, the play broker, why didn’t they go after him like they did with Marlowe? Was it because, thinking that the plays were written by a commoner, they couldn’t see or didn’t look to see that the satire was directed at them? She did protect him. But had his name been public, she might not have been able to. Her reaction to Richard II shows that she knew who the author was, and that moreover she knew it wasn’t the Stratford man. “He that will forget God will forget his benefactors,” she said. She was Shakespeare’s benefactor. Well, we know that’s impossible with the Stratford man, but she did pay Oxford 1,000 unexplained pounds a year. As for Shakespeare’s name “appearing on the title page,” it didn’t, until 1598. Until then, he was anonymous. And even after 1598, only those who actually purchased printed copies of the plays ever saw that title page. Clearly even the authorities weren’t fooled into believing Shaksper was the actual author, or he’d have been arrested as often as Ben Jonson was, and he probably would have been executed along with the rest of the Essex conspirators. The real author not only had the power to escape that danger, but also to shield the Chamberlain’s Men. As Oxford was one of the magistrates who tried the case, he had that power. It’s a fact that no one in London or in Stratford left behind any written evidence that they regarded William Shakespeare of Stratford as a playwright. I’ve given links to Ramon Jimenez’s detailed article that shows this. If you’ll read the article you’ll have the answer to your question. The links I put in these essays are important to flesh out the statements I make. In most cases they will be the answer to your question. The name William Shakespeare appeared on title pages of plays and poems because an author’s name was needed, the true author had to remain hidden for reasons I’ve given in dozens of essays here, a genuine pseudonym wouldn’t have worked for long for such popular works in such a small community, and William of Stratford perfectly fit the bill for such a ploy. This is hardly an unusual maneuver for writers who wish for any number of reasons to hide their identities. Many examples can be found in the recent book “Anonymity” by John Mullan. “Most likely known as a play broker”? Known by whom? Where is the evidence anyone ever saw William as a play broker? There isn’t any. Nor would we expect there to be any since the Lord Chamberlain’s Men would have made it impossible for William to get his hands on a manuscript. Play manuscripts were immensely valuable. They belonged to the Company and the actors were a tough lot, not to be messed with. The Queen did protect Oxford, but only in ways that allowed her to control him. Twice when he was in real trouble financially she stepped in, once to give him an annuity that allowed him to maintain his status as an earl, a second time to get him married into a family with means to support his title. The monarch who truly did support him was King James, who saw to it that he got the stewardship of the Forest of Waltham, where, under the King’s own protection, he was as protected as he could possibly have been from the hatred of his two worst enemies, Henry Howard and Robert Cecil. All of which is explained in detail in numerous essays on this site. Your final question is well put. Yes, by making it official that the plays were written by a provincial commoner who could not possibly have known the high level individuals caricatured by Shakespeare, any effort to see the plays as commentaries on them or the Court was rendered fruitless (they hoped). Most “authorities” probably knew full well who was actually doing the writing, but the name on the title pages allowed them to ignore the issue. Since Oxford outranked his enemies, their only recourse would have been to have him murdered. By removing himself to the forest where he was protected, he managed to keep himself safe for as long as he lived, and his papers safe as long as his patrons, the Pembrokes, remained in power.